Warning: This is only for EDUCATIONAL purposes to make you aware of the vulnerabilities that may be present in your website so that you may self test it in your OWNED website to IMPROVE the SECURITY ,,,,,!!! The person posting this or this blog is not responsible for any type of malicious activities performed by anyone else,,,,!!! So Guyzzz I have now decided to post some serious ADVANCED LEVEL OF Hacking stuffs which is how the “Cracker” breaks into your Vulnerable Websites,,,,!!! All you need to know is a bit of SQL queries,,,!!! So let me give you some idea of what I am going to talk about,,,,There are many complex defenitions you may get in various other sites,,, But I put it in simple terms,,,, You type some SQL queries or codes [or whatever you wish to call it ;D] on the address bar[whee you type the web address of sites to be searched] to test vulnerable website,,,,!!! If you find it vulnerable then BINGO,,,!!! we will use some more SQL injection queries to crack it,,,!!! And as far as others are concerned,,, please dont worry i’will be giving you some codes which you may use to Test the Vulnerability of the site,,,!!! 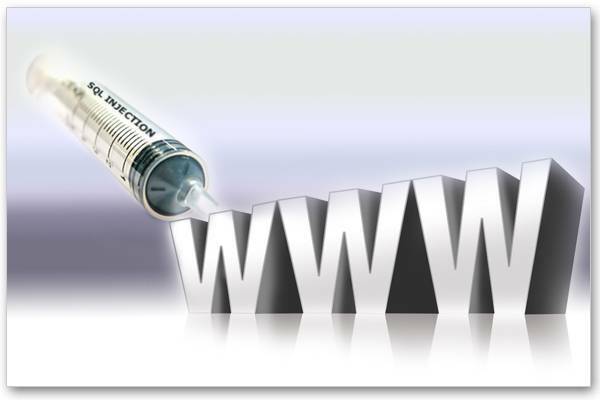 QUICK STEPS TO FIND THE VULNERABILITY OF WEBSITES,,,!!! Open the website in a new tab,,,!!! and now Hit the “Enter” Key,,,!!! If there is any type of “MySQL error” !!!BINGO,,,!!! Then it means your target website is vulnerable. After finding the vulnerability of your target site, use the ORDER BY command to extract the number of columns in the database. Doing ORDER BY 1– should always return the original page with NO error. If this shows the original page with NO error, continue. Continue increasing the ORDER BY number until you reach an error. For example, if doing ORDER BY 10– returns an error, then there is a table which has NINE (9) columns, NOT 10. Always subtract ONE from the number that produced the error. At the end if this produces the scattered numbers, continue, if not, STOP!!! Choose anyother target website from the GOOGLE search and repeat the vulnerability test,,,!!! After you see the scattered numbers, pick one to exploit. Say the numbers on my page are TWO and SEVEN. I will choose the number TWO. After choosing your number, put database() in place of it in your URL as shown below. REMEMBER, I chose number TWO. That should return some text in place of the scattered TWO. WRITE THIS TEXT DOWN, and move on. After extracting the name of the database using database(), type this where you typed database() in the previous step. TYPE THIS EXACTLY AS IT IS SHOWN, and press enter. The comma separates each set of data. Hey , can u tell me about hacking wifi ? Thanks for the information,Please tell me about the Facebook Hacking. https://polldaddy.com/js/rating/rating.jsi found many websites that are vulnerable but I only passed on the vulnerable test. When i put command ORDER BY 1–, it changed nothing but still showed the SQL error. Why? One of my customer reported like, when they try to login , they are getting a pop up like “I have hacked ur system” . But ater reinstalling windows now its fine … But wanted to know how the hacker wud hve done tat.. ths s also due any sql injection??? If yes pls teach tat.